Are there any alternate names for APS? What are the signs and symptoms of antiphospholipid syndrome? How are you tested for antiphospholipid syndrome? What is the treatment for APS? Can I do anything to prevent the development of antiphospholipid syndrome? As if receiving a diagnosis of lupus is not complicated and scary enough, being diagnosed with something called antiphospholipid (pronounced An-ti-fos-fo-LIP-id) syndrome (APS) can be even more scary and confusing. We hope this blog can shed some light on what antiphospholipid syndrome is, how it relates to systemic lupus erythematosus, as well as how it is diagnosed, treated and managed. Simply put, antiphospholipid syndrome (APS) is an autoimmune disorder that is characterized by excessive clotting of blood in the arteries and veins. Usually, blood clotting happens naturally as the body’s response to cuts and scrapes, and small breaks in blood vessels. 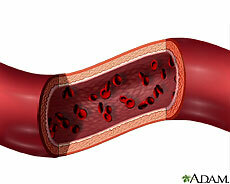 In APS, a tendency for excessive clotting can constrict or even block blood flow and end up damaging internal organs. Primary APS: The individual has no known autoimmune disease present, other than APS. This type accounts for more than 50% of all cases. Secondary APS: The individual has already been diagnosed with systemic lupus erythematosus (SLE) or another underlying immune disorder. More women than men have this type of APS which matches the statistics for SLE and other overlapping connective tissue diseases. All cells in your body have membranes made of phospholipids, a class of lipids (fatty acids), that hold the cell together. Within these phospholipids, antibodies play a role in how quickly or slowly blood clots. In APS, your body produces antiphospholipid antibodies that mistakenly attack your body’s own phospholipids. 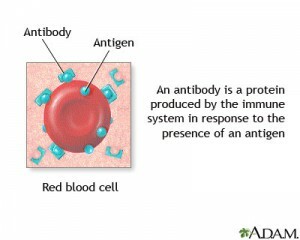 An antibody is a protein that is produced by the plasma (blood) cells An and used by the immune system. The antibodies seek out and target antigens (foreign objects such as viruses and bacteria). Some examples of antigens include: microorganisms like bacteria, fungi, parasites, viruses, and chemicals. The purpose of these proteins (antibodies) within phospholipids is to control how quickly or slowly blood clots. As a result, a patient suffering with antiphospholipid syndrome or phospholipid antibody syndrome has an abnormally higher chance of blood clotting or narrowed blood vessels. Hughes syndrome: In honor of the doctor who first described it. Lupus anticoagulant: Many people use this name, however, it is not actually the name of the syndrome, but rather describes the anticoagulants (the substances that prevent the clotting of blood) that are found in large quantities in those with APS. Lupus anticoagulant antibodies are a bit confusing, because despite their name (anticoagulant refers to a substance that prevents clotting), these antibodies actually promote abnormal clotting. These antibodies are a type of antiphospholipid antibody that attack the lipids (fats) in the lining of cells. 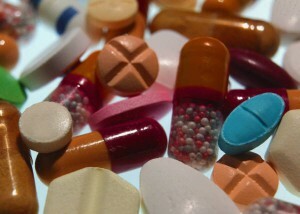 Most often, lupus anticoagulants are found in people with diseases such as systemic lupus erythematosus (SLE), but can also occur if you take certain medications, or have conditions such as inflammatory bowel disease (Crohn’s disease or ulcerative colitis), certain infections or certain types of tumors. About 50% of people with SLE have these antibodies, however, they are also found in healthy people. Phospholipid antibody syndrome (aPL antibodies): Less commonly used, “Phospholipid antibody” syndrome rephrases the “antiphospholipid” part of antiphospholipid syndrome. Phospholipids are a class of lipids (molecules) and are a major component of all cell membranes. Vascular Thrombosis: It may appear for the first time as a blood clot in an artery or vein (this is called a vascular thrombosis). Embolism: It may appear as a blockage of a blood vessel that has been caused by a clot that has traveled in the blood stream from another location in the body ( this is called an embolism). Pregnancy Complications: A woman who has recurring pregnancy loss may find out through testing that APS might be the underlying cause. Thrombocytopenia or (Immune Thrombocytopenia): This is a condition associated with APS that means that a person has low platelets. 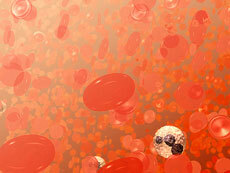 Platelets are little pieces of blood cells that help wounds heal and blood to clot. If you have a low platelet count, you can be at risk for mild to serious bleeding. Rashes or skin conditions: Some people may develop a rash that can be described as red with a mottled or lacy, net-like pattern. This is called livedo reticularis. Others may have ulcers or sores, most often on the legs, and others may have necrosis (a condition when the skin tissue dies). Stroke or other neurological disorders: Embolic stroke (caused by a blood clot that travels to the brain) or cerebrovascular thrombosis (a blood clot that forms in the brain) can occur. Please see the signs regarding ‘when to see a doctor’ below. Seizures, migraines, other cognitive dysfunctions can also be indicators of those with aPL antibodies, although studies are still being done to prove the link between those conditions and the occurrence of APS strokes. Lupus and other autoimmune disorders: Because APS is classified as an immune disorder (when the immune response attacks the body’s healthy tissue), those with aPL or antiphospholipid syndrome sometimes have an additional immune disorder. Although there are other disorders on the list, systemic lupus erythematosis is the most common autoimmune disorder linked to those with aPL. Signs of a stroke: Numbness, weakness, or paralysis of your face, arm, or leg, impaired vision, or sudden and severe headache, or difficulty with speaking or understanding speech. Signs of a pulmonary embolism (when one or more arteries in your lungs become blocked) : Pain or shortness of breath, chest pains that worsen with deep breathing, cough that may produce bloody or blood streaked sputum. Unexplained bleeding: Any unexplained bleeding from the nose or gums, unusually heavy menstrual cycle, black or bright red stool, vomiting that looks like coffee grounds or is bright red. Infections: Infections like HIV, syphilis, Hepatitis C, Lyme disease do have a higher incidence of having antiphospholipid antibodies. Medications: The antibiotic amoxicillin, hydralazine taken for high blood pressure, quinidine which is taken for regulation of heart rhythm, and an anti-seizure medication called phenytoin may lead to a higher risk for the development of antiphospholipid antibodies. Genetics or Heredity: Research indicates that relatives of those with antiphospholipid syndrome have an increased likelihood of having the antibodies themselves, even though the disorder is not considered to be hereditary. For those with SLE who have APS, hydroxychoroquine or Plaquenil can also add some protection against blood clots. For those who have aPL antibodies but have not shown symptoms, low-dose aspirin is generally recommended by the treating physician. For women who wish to get pregnant, but have had a history of miscarriage, the physician may prescribe heparin (prevents blood clots) and low-dose aspirin. Try to avoid any activities or sports that may cause bruising or injury or may cause you to fall. Even if you have the antibodies associated with APS, there are things you can do to reduce the risk of developing blood clots or any other signs or symptoms. The National Institute of Neurological Disorders and Stroke (NINDS) and the National Institutes of Health (NIH) are funding research through medical grants to look for ways to reduce clotting and prevent stroke. In this research, they are also examining the role of pregnancy loss associated with APS, along with possible inherited risks factors.